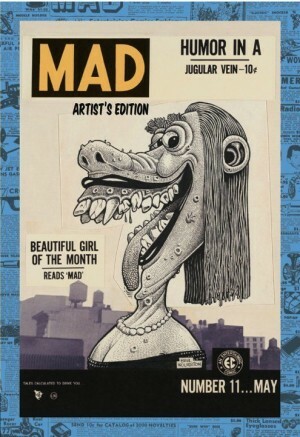 The Mad Artist’s Edition is an almost ridiculously huge (380 x 558 mm) monster of a book, featuring reproductions of original art for 21 complete stories from the first 18 issues of Mad comics, plus cover art or roughs for 16 issues. It is introduced by Terry Gilliam of Monty Python, Brazil, and Time Bandits. 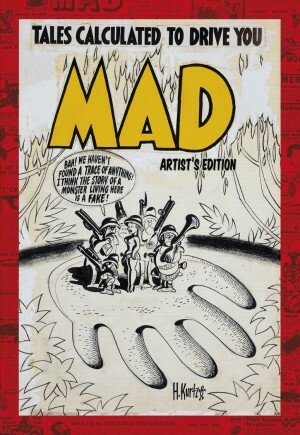 Harvey Kurtzman was both editor and writer of Mad for 28 issues, and his scripts and roughs were interpreted by a roster of all-time greats including Wally Wood, Bill Elder, Jack Davis, Basil Wolverton, John Severin and Bernie Krigstein. 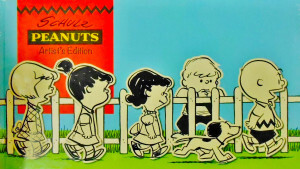 These vintage art pages have been photographically scanned in colour at very high resolution and reproduced actual size, on heavyweight paper. This process produces the sensation of looking at original drawings exactly as created by the Mad artists with all the pencil marks, corrections, different pens and inks, production notes and other artefacts visible. 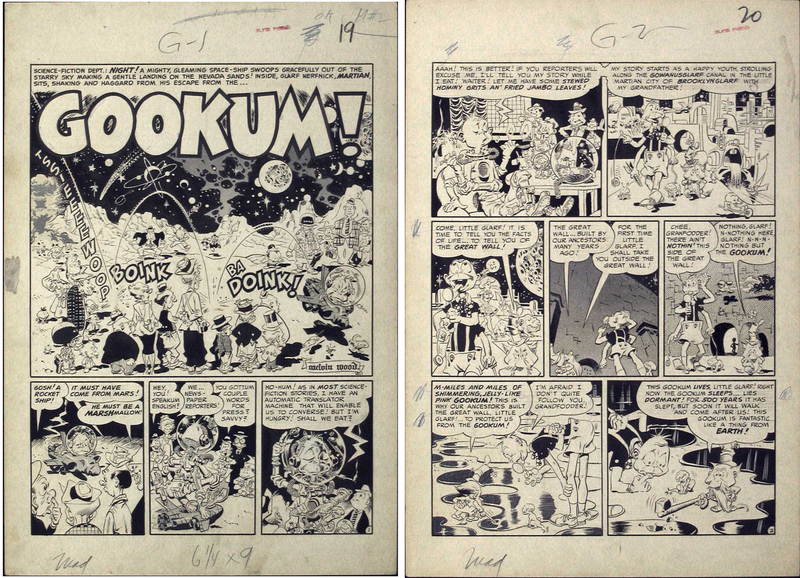 These handmade traces are not visible when printed at reduced size, so it’s a very different experience to look at these incredibly adept comics pages just as they would have appeared after leaving the artists’ drawing boards. 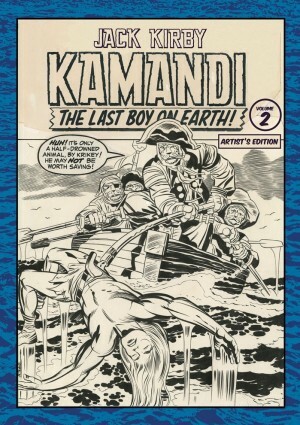 All the stories in this collection were written and art directed by Harvey Kurtzman. Jack Davis is the artist on ‘Hoohah!’ (Mad #1), ‘Lone Strange Rides Again’ (Mad #8), ‘Face Upon the Floor!’ (Mad #10), ‘Beware of Imitations’ (Mad #11), and ‘What’s My Shine!’ (Mad #17). Wally Wood has the most stories in this collection, with ‘Gookum!’ (Mad #2), ‘Smilin’ Melvin!’ (Mad #7), ‘Bat Boy and Rubin!’ (Mad #8), ‘Little Orphan Melvin!’ (Mad #9), ‘Flesh Garden!’ (Mad #11), ‘3-Dimensions!’ (Mad #12), ‘Prince Violent!’ (Mad #13), and ‘Movie… Ads!’ (Mad #14). Bill Elder art is showcased in ‘Mole!’ (Mad #2), ‘Shadow!’ (Mad #4), ‘Outer Sanctum!’ (Mad #5), ‘Restaurant!’ (Mad #16), ‘Bringing Back Father!’ (Mad #17), which also features art from Bernard Krigstein, and ‘Howdy Dooit!’ (Mad #18). There are two strips featuring Basil Wolverton: ‘Mad Reader!’ (Mad #11), and ‘Meet Miss Potgold’ (Mad #17) plus several incredible full-page illustrations. Russ Heath art is in one strip, ‘Plastic Sam!’ (Mad #14). The Cover Gallery has 16 covers from the first 22 issues, five of which have Kurtzman’s colour roughs on the opposite page, and finally there are a couple of house ads and the first page of the uberclassic Wally Wood-drawn ‘Superduperman’ (Mad #4). 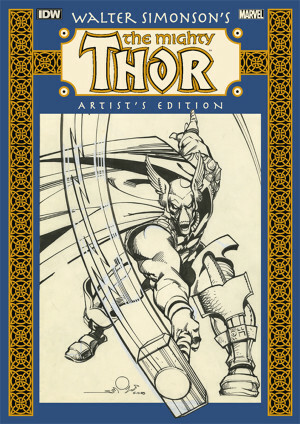 The Mad Artist’s Edition is an incredible collection of original art from one of the greatest publications in the history of American comics. 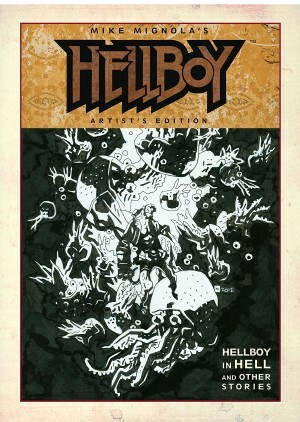 If you consider that to own even one page of the original art shown here would cost many thousands of dollars, this book is the greatest deal any fan of this material could hope to be offered. 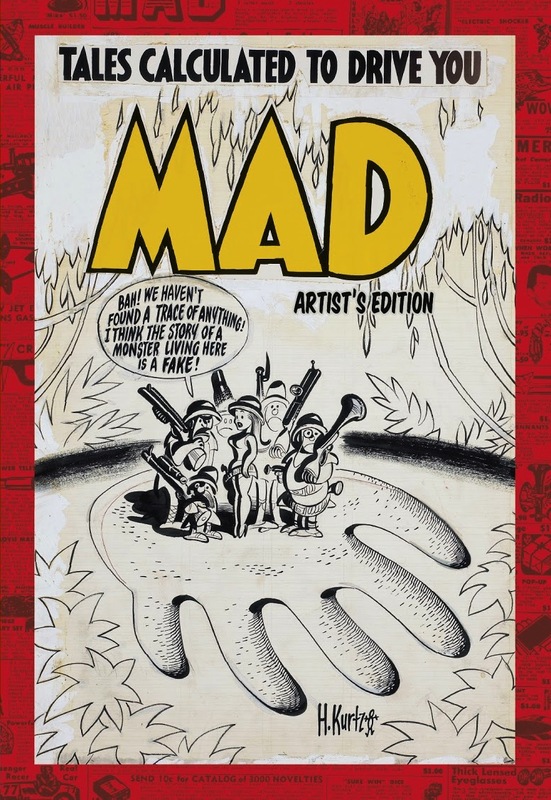 If you have any affection for Mad this is an essential purchase that you will be glad you made, although you may have to also buy a table to read it on.